Managing your soccer team can feel a little like herding cats. Ballhop helps turn team communication, coordination and fee collection into simple, enjoyable tasks. Coming soon! Struggling to keep your team organized? Managing a soccer team can be stressful, and take up a lot of your free time. At times it can be challenging to save your sanity! You need to coordinate people with changing schedules and share information with them fast. You have to collect all fees to cover team costs. All the while you need to make sure your players have fun and stick around! How much easier would your job be, if doing all this was so fast, easy, almost fun, that you did it with pleasure? What if you had a tool that would take care of all the details for you? Giving you the peace of mind and freedom to go back to enjoying the sport you fell in love with. Ballhop helps coaches coordinate and communicate with their teams. It keeps all information at their fingertips accessible in one place. It also helps players connect because not everything needs to go through the coach. Your team can track their schedule in a format they are familiar with and enjoy. Any last minute changes? The app will keep players always up-to-date. No more nagging people to pay either. Let our app play bad cop for you by following up players who haven’t paid. Know who is coming and what is going on when players can't make it, all in one single page. Organizing rides will be a breeze too. 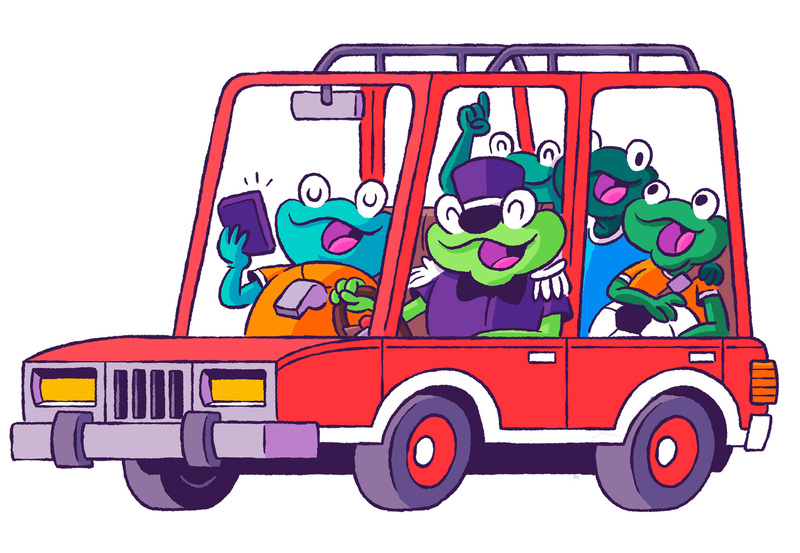 Players see who is driving and can sort rides without having you get involved. Don’t let players slip through the cracks. Improve team spirit, encourage hard work and have fun while recognizing your players. On top of that, players can message each other to ask questions, plan a social outing or to pump up the team for an upcoming match. No more wondering who will show up. Our availability feature will automatically ask players to confirm their attendance. Know right away who is coming and what is going on when they can't make it, all on one single page. If player’s fail to reply on time, the app will follow up with them so you don’t have to! Gone are the days when you would have to send emails, texts, and group messages. Add matches or practices in seconds and share it with your team with a tap of a finger. The app keeps your team organized and up to date on all communication. It even sends game and practice reminders. With this app no player can ever say they didn't know about practice or game. Coordinating rides will be a breeze. Players will be able to sort out their rides in advance without having you to coordinate it for them. Players will know exactly who is driving and from where without mass messaging the entire team which can be a daunting task for some. We get it, nagging people to pay is painful! Let the app play bad cop for you. The app will follow up players who haven’t paid and create payment plans for players who are tight on cash. No more awkward conversations surrounding fees nor having to message the same set of people each week to ensure you collect your team fees on time. Players can find and contact each other with the tap of a finger. Freeing you to focus on more important things. Meanwhile, players can learn their new teammates on their own terms. The roster feature also allows players to update their info so you don’t have. Saving you valuable hours come registration time. Team communication made easy. Players can use the messaging system for team banter, to ask questions, plan a social outing or to pump up the team for an upcoming match. Team messaging will lift team spirits, and improve team chemistry. Don’t let players fly under the radar. Recognize players for their hard work and exceptional play. The app allows you to select a player or poll your team after each game. Improve team spirit, encourage hard work and have fun while recognizing your players. Do you prefer email but having a hard time reaching your players? Share game highlights or any important club messages by forwarding your email to our app. All your players will get notified and be able to view it, all through the app. Let's get your team hopping! Save your sanity and help your team stay in the know.